The high protein diet means you have to get 90 per cent of your daily calories from proteins and fats – virtually cutting out carbs entirely. As a result the body reaches a state of ketosis – a normal metabolic process. It's where, in the absence of carbs for energy, the body burns fat instead – hence why it helps with weight loss. 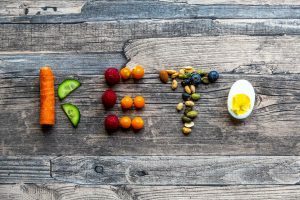 So, it seems a new version of the keto diet has appeared… keto for lazy dieters. “Lazy keto” is like the original plan – but you don't have to track your calories, according to Health.com. That's the equivalent of nearly an entire cauliflower – proving that not all of vegetables are equal in terms of carbs – it's almost impossible to eat 20g of carbs from spinach, for example. Keto doesn't mean going without fruit and veg – that's a common misconception.